The fax machine wont show any print. Have a new ink and cleaned head. The fax machine keeps saying check paper. ANy ideas? All problems on this page have been submitted and answered by users. If you have a problem with the Samsung SF3100T, please submit it below and we'll post it here. 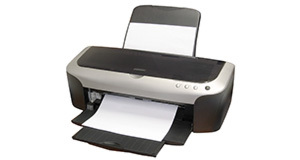 Problem: The fax machine wont show any print. Have a new ink and cleaned head. Problem: The fax machine keeps saying check paper. ANy ideas?